When it comes to packaging, consumers get to enjoy really innovative designs but also struggle with impossible and seemingly inconceivable bad packaging ideas. Packaging is there to protect items, promote the brand and generally make like easier, ideally in an environmentally friendly way. 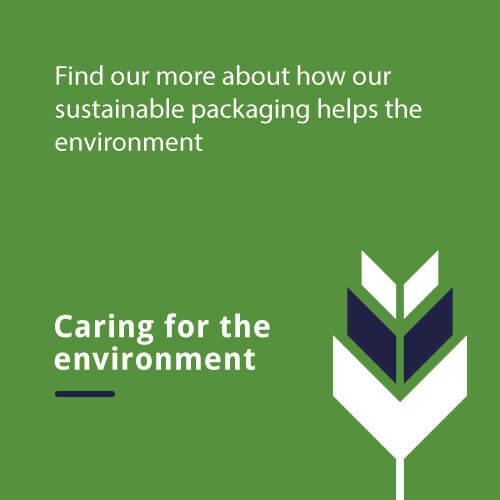 We see the use of intelligent packaging materials and packaging that has a secondary purpose as well as enjoying recyclable packaging. However, what about the times where manufacturers have got it badly wrong? Does not serve a purpose. We have all been infuriated by bad packaging in one form or another, here are just a few examples of bad packaging frustrations. When buying scissors or a knife, it is impossible to cut the rigid plastic case to access the product without scissors or a knife. If you buy a product designed to open the annoying plastic packaging we face, would it not be smart to make the packaging opening product easier to access? There have been so many cases where tough to open plastic packaging has broken scissors, so when you purchase a replacement pair, manufacturers would save plenty of stress by using packaging that is easier to open. The irony is not lost when buying scissors, and the instructions tell you to cut on the dotted line or tab to open. As consumers we understand, why choose a thin, supermarket on-the-go sandwich when you can select chunky doorstep bread with a deep sandwich filling? However, consumers, do not need the sandwich to actually be packaged to look like a doorstep in order to know what it is. Instead of wasting more packaging than necessary, a simple label may have sufficed. The great thing about nature is that it comes up with its own ingenious packaging solutions. The humble banana, for example, has a thick protective skin which means the fruit stays damage free and tasty when it comes to eating. What’s more, the packaging is biodegradable meaning no impact to the environment, unless it is slipping on a banana skin humour. With this in mind, it makes us question why Del Monte decided that wrapping individual bananas in plastic was a good idea. They claim that their wasteful use of packaging was to be a ‘green initiative’ to make picking a healthy snack easier when on the go. We think a typical banana does its job perfectly. Just like the banana, the avocado does a great job of providing its own packaging. Considering that it takes only a few seconds to cut an avocado in half, it seems unfathomable that companies would individually wrap avocado halves in shrink-wrap plastic packaging and then encase two halves within a cardboard box to waste yet more packaging. Not to mention that buying pre-cut packaged avocado halves is more expensive than purchasing an avocado as a whole. If you only want to use half an avocado, then leave the stone in place and sprinkle with lemon juice to keep it fresh, without needing plastic. While having individual packages may be handy, they are only useful when they are small and fit the product. Zyrtec have a huge plastic container to contain five individually wrapped tablets. However, the individual sachets are ten times the size of the actual product. So much wasteful packaging, we do not know where to begin. Ever-present in the technology industry is the draw of small products and micro sizes. So why do small products need such big packaging? Usually, USB drives and memory cards are encased in a little plastic shell; they do not need extensive cardboard backing and a plastic case as well. Furthermore, this plastic case is usually one of the hardest aspects to open. People have reported accidentally stabbing themselves and breaking scissors in an attempt to get through the rigid plastic package. Can’t wait to tuck into that big bag of crisps, sweets, nuts or popcorn? How disappointing once you open the packet, the air whooshes out, and you are left with at least half of an empty bag. Big packaging can be misleading for customers. Packaging can make us believe we are getting good value for money. Alternatively, packaging can lead us to have an expectation of the product inside the protective box or bag. However, sometimes over exaggerated packaging can dash our hopes and disappoint us. It is worth noting that there is a requirement for a certain amount of air in crisps packaging to prevent the snacks from being crushed. However, the packaging also poses a problem as crisp packets (especially the foil layer variety) cannot often be recycled. So, the next time you grab a jumbo-sized product because you think it is good value, check the weight or description to see if it will actually live up to the mark. In the meantime, we hope packaging companies will cut their costs and reduce their packaging sizes. With a solid shell, it is hard to imagine that a coconut needs any more protection. However, companies providing coconut juice fresh from the coconut had added a straw and pull top for ease. Added to that, they have then wrapped the coconut in plastic film and added a cardboard base so that the coconut has stability on the shelf. This excessive packaging became a viral sensation and caused outrage for its wastefulness. One company responded by saying that the plastic film is vital for keeping the freshness and maintaining the green flesh to prolong their shelf life. We have all had an online delivery where it feels like we play a game of pass the parcel. Opening one large box only to find shredded paper, polystyrene packing peanuts, the uncover another box and then another one until you actually discover the product you were looking for. With excessive waste filling the recycling bin, it angers many consumers. In fact, many customers campaign for businesses to use less packaging where possible and where relevant, eliminate packaging altogether. Some delivery companies now ship products without packaging and just use a simple address label. Lots of cosmetic products use their packaging to appear more exclusive and high-quality. However, a glass or plastic containers already uses a high amount of packaging. This is increased when the jars are then placed in cardboard boxes and then wrapped in plastic. For products with such as a small volume, the amount of packaging often weighs and costs more than the product itself. The packaging also comes into consideration when the products are transported. With excessive weight from bulky packaging and increased volume, it can create significant emissions through the logistics process. Grabbing an on-the-go sushi box for a lunchtime treat may mean spending most of your lunch break unwrapping each item before you run out of time to eat it. Sushi boxes will have chopsticks, wrapped in a paper packet, a plastic sauce container, sachets to season your meal to taste. The outer packaging itself is often wasteful because it is moulded plastic, using more plastic, to separate each section. As a side dish, you may opt for a convenient fruit snack, such as pineapple fingers, apple slices or grapes all in individually sealed plastic bags that many of us forget to check whether they are recyclable and dispose of it correctly. Remember, many packaging options such as pizza boxes cannot be recycled if they have food contamination.